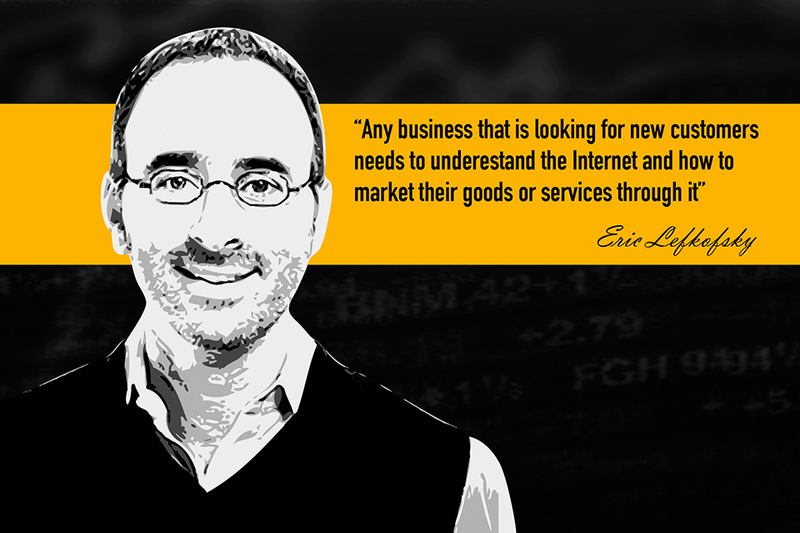 Eric Paul Lefkofsky belongs to a new breed of business man: the internet titans. This American entrepreneur began his career into the world of money by selling carpets at the Michigan University. A less than glamorous start that ended in the ownership of Echo Global Logistics (ECHO), InnerWorkings (INWK), Mediaocean, Groupon and Uptake, and even the co-founding of a Chicago-based venture capital firm named Lightbank. This amazing streak of successful business turn Lefkofsky into a billionaire, currently holding 1,7 billion dollars in actions and capital. From all his successful companies, undoubtedly his greatest achievement is Groupon. This worldwide known website has achieved global acceptance and become a standard internet resource for millions of business all over the world, helping to close each day more than a billion dollars in deals and sales. The magnificent yet simple idea behind Groupon is that the site allows local companies to offer limited time deals, only via this website. These deals usually include considerable discounts on fast food items, clothes, electronics and many, many other products. People enters Groupon website and browses among the available deals for his area, thus connecting to offers otherwise inaccessible and buying products out of the shear fact of finding them at a reduced cost. Groupon is effectively a “365 7/24 days permanent summer sales” as one of Lefkofsky partners put it on a TV interview. This concepts plays upon the rules of the market, and works because there are always companies willing to lower their profits in order to compete, at least during a brief period of time, and during that same brief period of time, there is always someone willing to buy a discount product, even if he really doesn’t need at that time. The discovery of this formula made Groupon one of the most effective sites on the internet to turn visits into profits, thus cracking the eternal issue of monetizing internet traffic success. His amazing performance at InnerWorkings and Groupon give him the credit to become an iconic internet “captain of the industry”, thus giving lectures at several universities, and turning his own name into a powerhouse brand for startups fundraising. This ability to achieve financial profit, by acquiring funds and tracing a veritable plan of action to turn the invested money into profit, is the base of Lefkofsky’s success. Today this internet mogul stands firmly as a reference figure of a “well planned well executed online business” and compliments is successful image as a business man, with the Lefkofsky Foundation, a charitable organization he runs with his wife Elizabeth.